I offer three levels of Book Doctor Story Analysis: Synopsis Critique and Analysis, Story Outline Analysis, and One-on-One Feedback Session. Read on for more information about all of these options. When a story is broken, we might wonder if it can be fixed. I think a story can almost always be saved with the right amount of work. But step one is figuring out which pieces are broken. I enjoy analyzing stories and identifying what’s not working. In other words, I find those broken pieces. Think of me as a “book doctor” who can diagnose problem areas and give prescriptions on how to make it better. Book doctors typically do their work alongside a developmental edit. However, a developmental edit can be a very expensive way to uncover what’s broken about a story. Severely broken stories might need a second round of developmental edits, adding to the cost. Instead, I’ll attempt to diagnose problems by analyzing other documents that capture the story structure. This method won’t reveal every problem with a story, but when the budget is tight, this can be an economical way to receive a high-level analysis, especially as a means to fix many of the major issues in a broken story before a developmental edit. Click to return to the main Editorial Services page. For broken or non-broken stories, author will receive feedback in their synopsis and in an editorial letter. Inquire or sign up here. Author will receive editorial feedback on plot, character, and other elements. The author would need to provide a scene-by-scene outline of the story. For best results, the outline should include at least a paragraph for each scene describing what happens and how it’s important to the plot and characters. The outline might also include mentions of: setting, related off-page events, revelations, and important dialogue exchanges. The more information included in the story outline as far as each scene’s plots/subplots, point-of-view used, word count, and character interactions and goals, the better the analysis will be. A thorough story outline for a novel might run around 20-40 pages. Author will receive editorial feedback on plot, character, and other elements based on multiple documents—also includes a follow-up phone conversation. I’ll analyze multiple documents provided by the author, such as beat sheet(s), synopsis, and story outline (see Story Outline Analysis above) for story structure issues. For an additional charge, I’ll critique the synopsis as well. In addition to the analysis feedback, this service includes a single phone conversation (around 1 hour in length) to address questions, discuss options, and brainstorm potential solutions to the issues. The phone conversation should happen within one week of the emailed feedback to ensure the best communication of the story’s specific issues. 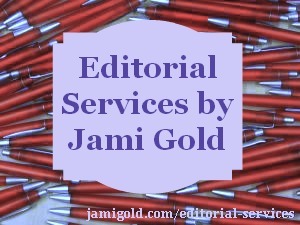 Limited Clients: To leave time for my writing and other writing obligations, I generally take on only one story analysis project (at any level) per month. For this reason, I require a deposit of 50% to hold a slot for an author. Format: I prefer to work in Microsoft Word (.doc or .docx) so that if appropriate, I can leave comments in the synopsis or story outline pointing out specific elements that need work. Disclaimer: The quality of the story analysis depends completely on the quality of the material(s) submitted by the author. My feedback addresses only the information given. Although a story analysis can identify and suggest fixes for many issues, it’s not a replacement for a developmental edit.